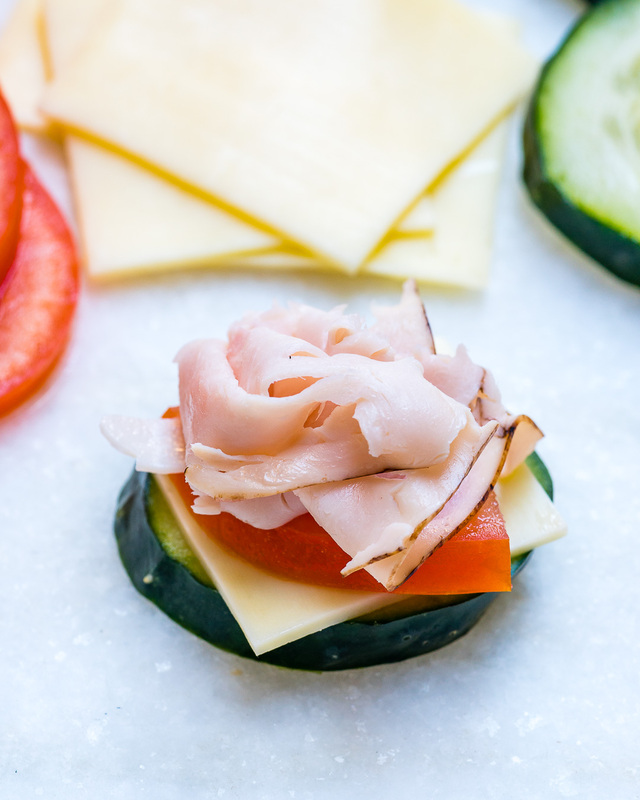 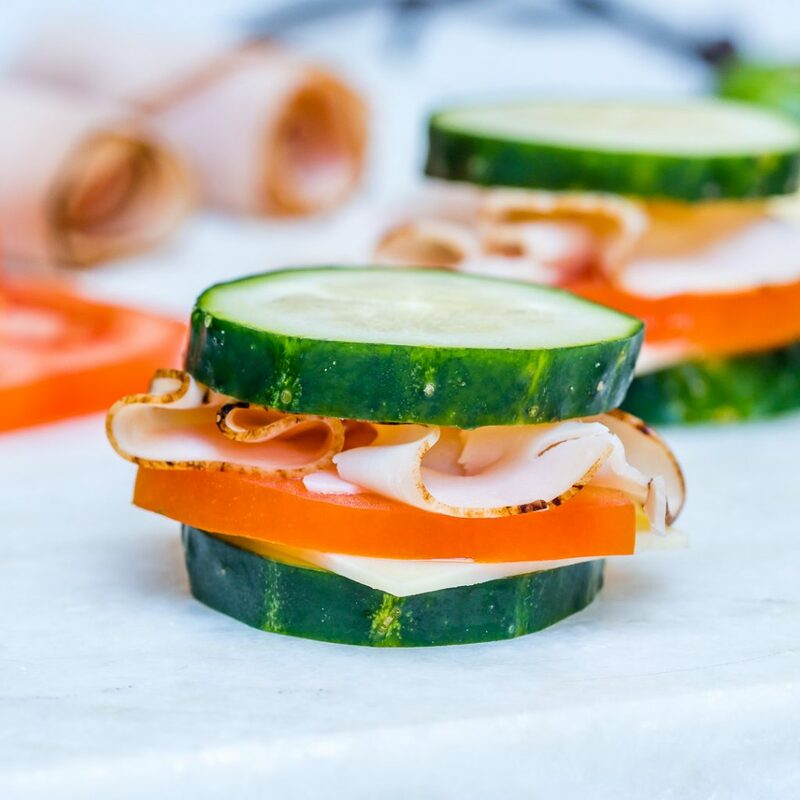 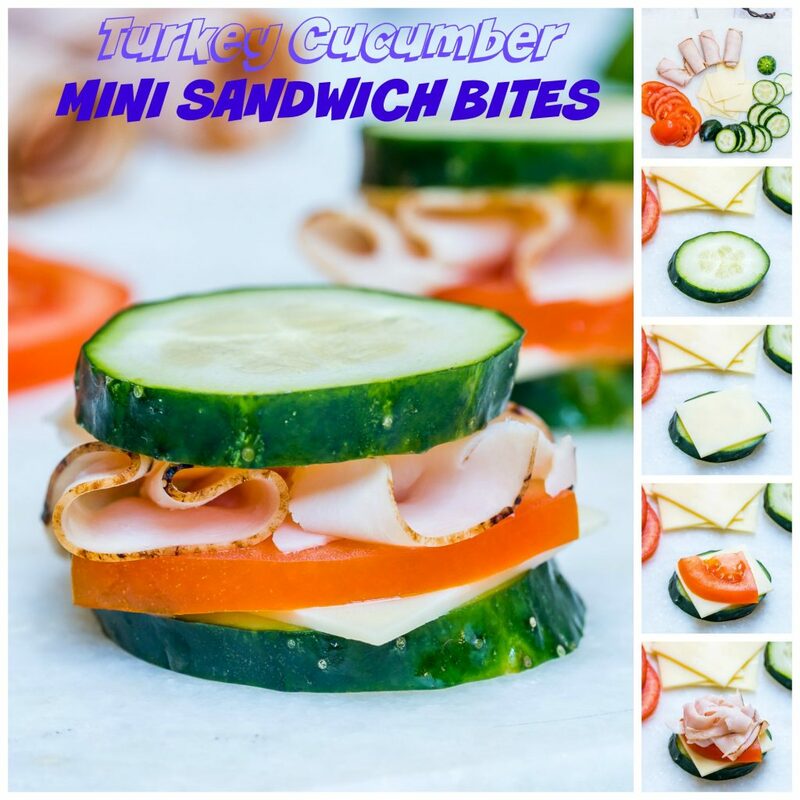 Turkey Cucumber Mini Sandwich Bites Make an Epic Clean Snack! 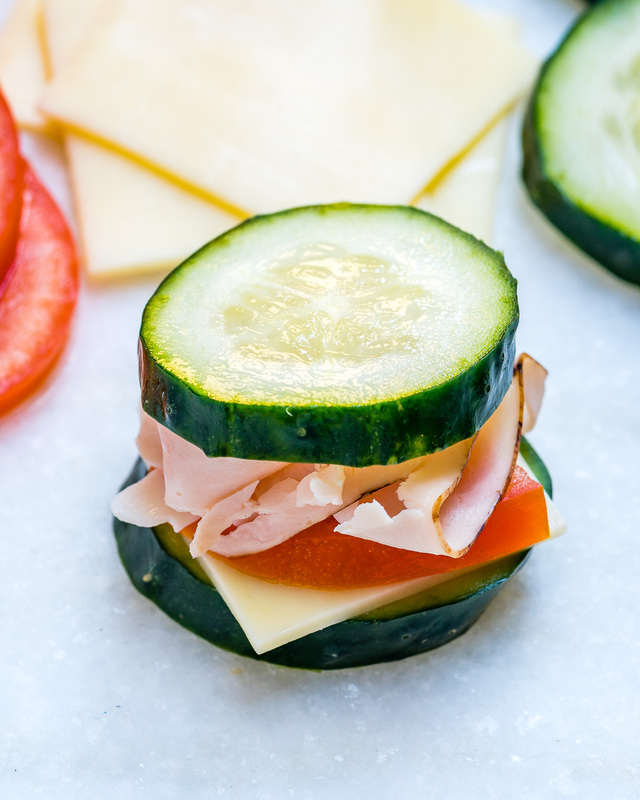 Slice the cucumber horizontally so that you make large round coins about 1/4 an inch thick. 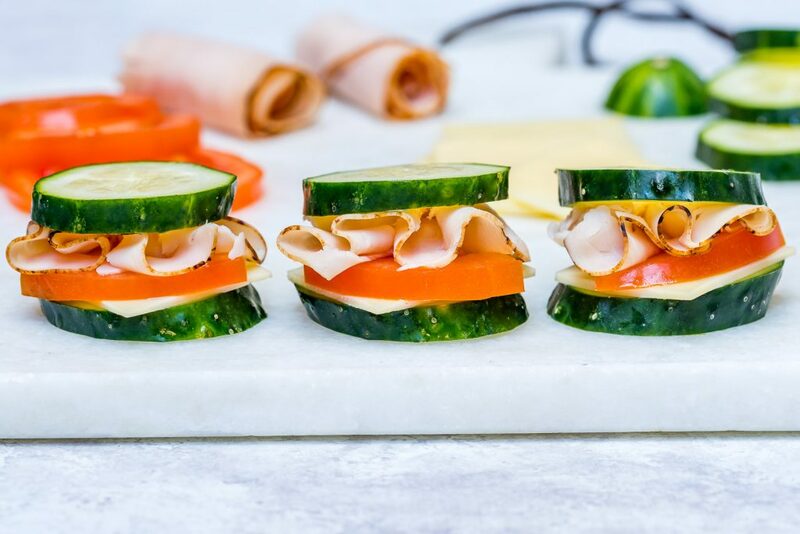 Place cucumber “coins” on a plate. 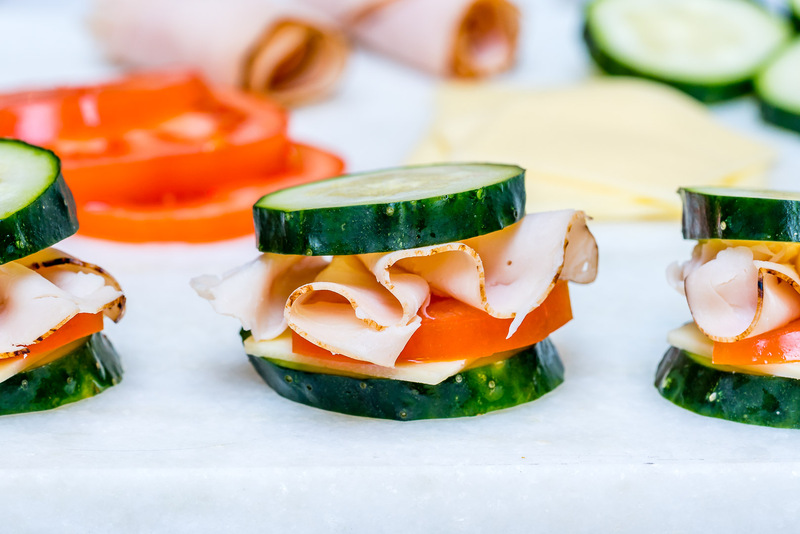 Top with cheese, tomato, turkey/chicken, mustard or hummus then cover with another cucumber slice.